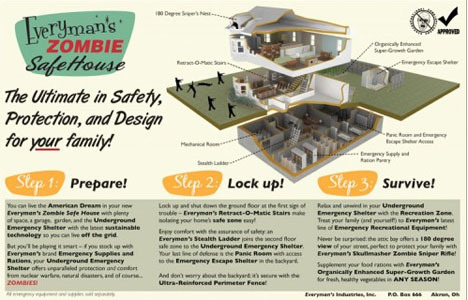 With the zombie craze reaching brain-consuming new heights, ever more architectural ideas have risen to meet the fantastic challenge of defending against the undead. 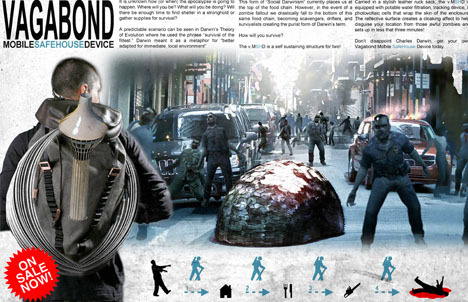 The first-place winner of the Zombie Safe House Competition, Austin Fleming, took a nomadic camouflage approach (aka the Vagabond Mobile Safehouse Device), reasoning that a portable one-to-two-person shelter would be essential for traveling to find safety, food and water, while disguising oneself against legions of the infected. 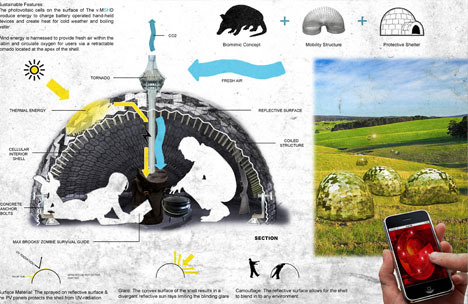 Biomimicry, reflectivity and flexibility come together in this quickly-deployable photovalic backpack shelter for two, able to be anchored to any surface for defensive purposes, provide a thermal barrier and generate energy. 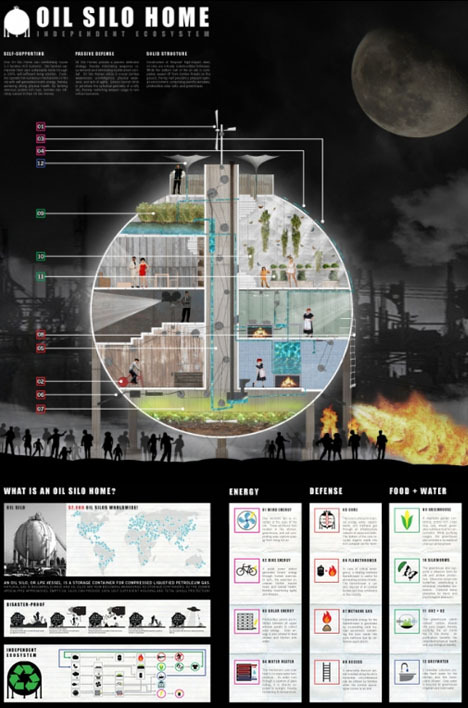 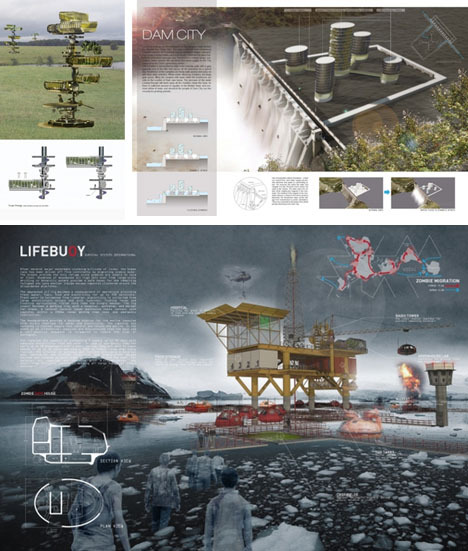 A runner-up, the Oil Silo Home is a more extensively self-sufficient space designed to be difficult to invade (at least by mindless attackers) and entirely off the grid, able to generate energy, recycle waste and gather water indefinitely. 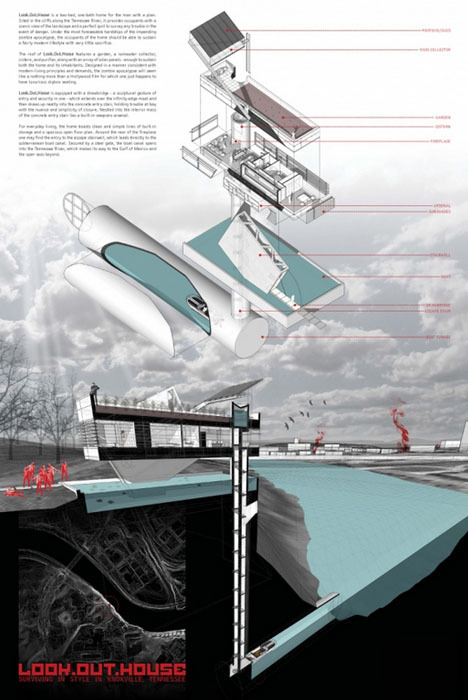 The Lookout House likewise provides an elevated and sustainable refuge, but with an underground (and underwater) twist so that one can escape by tunnel and sea if need be. 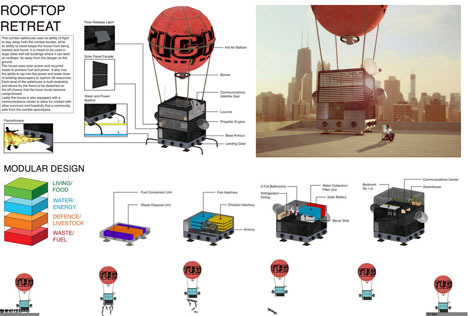 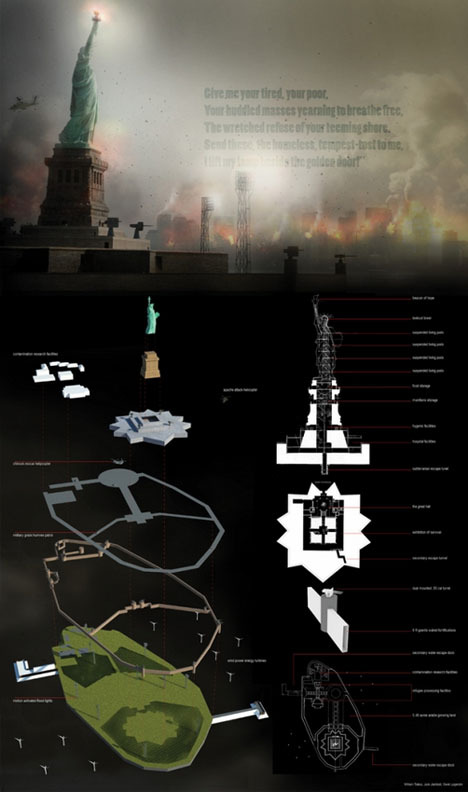 Other runners up planted their zombie-proof dwellings everywhere from gigantic dams and rooftops (via balloons) to sports stadiums, even the Statue of Liberty, providing a truly remarkable set of diverse solutions for an end of the world we should all hope never arrives.